Unfortunately, when it comes to access to finance, there are also persistent Catch-22s that directly affect the ability of some of the world’s poorest and most vulnerable populations—particularly rural communities—to improve their precarious position and become more food secure. Perhaps this predicament sounds familiar: Rural farmers are unable to access loans from formal financial institutions because they do not have a credit history that would allow those institutions to effectively assess risk associated with such loans—yet farmers are unable to develop a credit history since they are unable to obtain a loan. Cash-strapped farmers are unable to access better quality farm inputs to increase their yields and inputs. Rural farmers are even more handicapped by geographical considerations: banking agent networks are often extremely weak in rural Africa for instance, and banks are often unwilling to invest in growing into those areas because of the lack of a strong business case based on reliable data. This problem is not a new one, and many financial and organizational innovations have targeted the space to try to improve access to financial products for the rural poor. Microfinance institutions, Saving and Credit Cooperatives (SACCOs), and Village Savings and Loan Associations (VSLAs) are some of the most prevalent actors attempting to bridge the divide. Yet for all of the good work being done, the direct linkages between banks and the rural poor in places such as sub-Saharan Africa remain weak. More recently, the potential of mobile technologies is being harnessed to help form a clearer picture of rural farming risk profiles for organizations offering financial services. Numerous actors are focusing on mobile technology-enabled farmer profiling. Using a village agent model pioneered by such organizations as the Grameen Foundation through its Community Knowledge Worker program, development actors are engaging in rural agents to regularly collect information from farmers via mobile technology that can be used by financial institutions to develop a better risk profile for clients. Yet from my experience exploring this space recently in Uganda, it appears that while formal commercial financial institutions are watching these activities closely, they remain apprehensive towards engaging directly, and questions about the long-term sustainability of the village agent model remain as long as private sector players such as major banks continue to observe from a distance. A rural agent in Uganda demonstrates the mobile application used to collect information from farmers in his vicinity. While active mobile-based data collection appears to hold great promise in creating some form of credit profile for rural farmers, some organizations are beginning to tackle the problem another way—with a smaller rural footprint and a greater reliance on big data and intelligent algorithms. 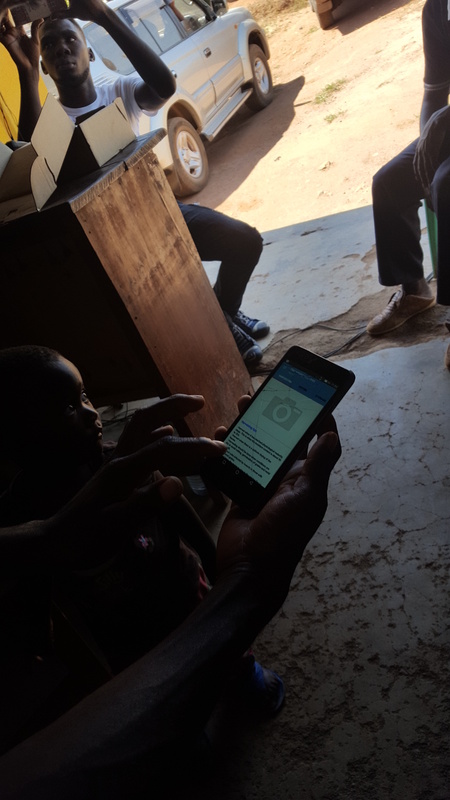 Agent networks that actively use mobile platforms to profile individuals in rural and hard-to-reach locations generate a significant amount of data that can be used to assess an individual’s credit worthiness, but these data volumes are a drop in the bucket when compared to the data that is generated passively and collected by mobile network operators through the everyday mobile phone usage. Gaining intelligent insight from this voluminous treasure trove of mobile data could offer new ways of assessing a person’s credit-worthiness that relies less on both sector-specific information and intensive data collection efforts—a welcome break for data-fatigued field agents. To this end, innovations on the back-end of mobile technology and passive data collection are being experimented with. Shivani Siroya of Tala’s (Formerly InVenture) recent Ted Talk illustrates how non-financial data collected via mobile phones can be used to create digital identities from which financial identities can be deduced. Who would have thought that people that regularly communicate with more than 58 contacts via mobile phone are more likely to be responsible borrowers than people that communicate with less contacts? These are the kinds of linkages that big data collected passively enable us to see that traditional paper trails do not. Taking it a step further, venture capital-backed companies such as Jumo World are partnering with mobile network operators to apply machine learning algorithms to mobile phone data to create and refine models for effectively assessing risk and creditworthiness of individuals and offering nano-loans via mobile-money to individuals. Borrowers’ repayment data of said loans is fed back to the machine learning algorithms that continually refine individual and collective loan-worthiness models while giving borrowers an opportunity develop a credit history that can eventually be used by formal financial institutions to reach new customers. Just as is the case with mobile-enabled rural agent based profiling, we are still a ways off from knowing whether large formal financial institutions will eventually bite, integrating these newer Know-Your-Customer mechanisms into their operations to develop and deliver new financial products to reach a new customer segment. But one thing is becoming clear—at some point, lenders will have to take a leap of faith, overcome extreme risk-aversion. They need to invest in potential—as new models of collecting and utilizing data with simple mobile technologies are helping to show the way out of this Catch-22.